Can Jo Boaler grow your brain? In September last year, UK broadcaster, Radio 4, transmitted an interview with Jo Boaler, a professor of maths education. I remarked on this at the time on my old blog. There were a number of claims that I disagreed with but one claim stood out as simply very strange. Boaler stated that, “One of the recent studies showed us that when you make a mistake, your brain grows.” She then equated the firing of synapses with the brain ‘growing’ and went on to explain that, in the study, there were two bursts of synapse firing, with the first occurring before the participants knew that they had made a mistake. It’s a good question and, at the time, I wrote that I would love to read the study in question. I went back to my old post and, in particular, a comment from “Luke” who located the study in question. Boaler had mentioned the paper on Twitter when asked about it by Daniel Ansari. It is a 2011 article by Moser et. al. 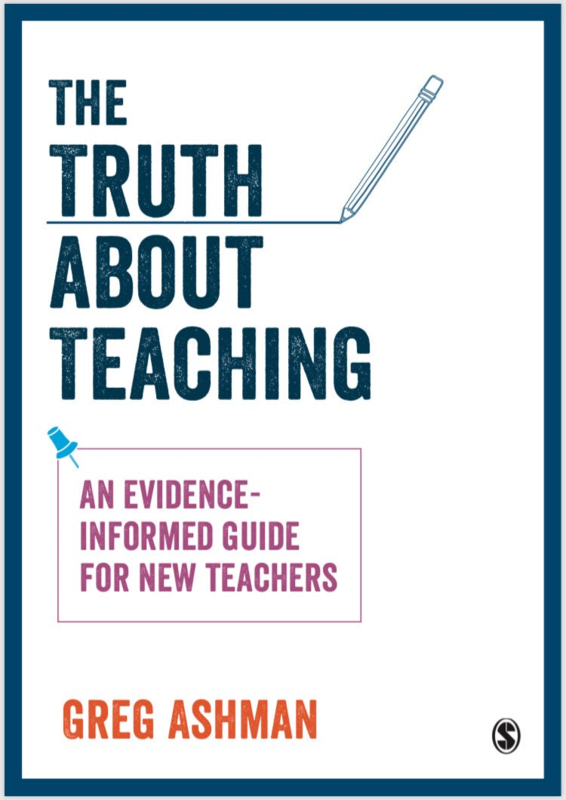 and is freely available on-line so you can read it for yourself. In this experiment, 25 participants have to pick out whether the central letter in a string of letters is congruent with the surrounding or ‘flanking’ ones. It is an example of a flanker task. Two letter are used for each trial. For example, in the first trial, “M” and “N” are used. The string “MMMMM” is congruent and “MMNMM” is incongruent. It took me a while to get my head around this. Surely, this is the easiest task ever? Then I realised that the participants are under severe time pressure. I am not a neuroscientist so forgive me if I misrepresent some of the subtleties in what I am about to explain. The participants had electrodes attached to their heads to measure electrical activity known to occur in the processing of mistakes. Note that they do not measure other brain activity. This means that the fact that they found more activity when participants made mistakes is both unsurprising and a finding that does not rule out the possibility that there was even more activity of other kinds in other areas of the brain when participants got the answers correct. Also, recording a voltage in this way is not the same as concluding that the brain has ‘grown’. Yet brain growth is the repeated claim. Clearly, the participants have all of the information that they need in order to figure out if they are right or wrong – they don’t need any external feedback. This is one of the reasons that the researchers chose this particular task. It is quite possible that some of this is processed unconsciously before the participant becomes aware of the mistake. I sometimes ‘feel’ something when I write a typo before I realise exactly what I have done and I put this down to subconscious processing. So the purpose is to resist a reflex. Again, although not consciously aware, the participants do have access to the information that they need to determine whether they have made an error. So it is possible that they are processing this unconsciously. The ERN is interesting and the literature on it contests whether it really is about error processing or noticing conflict. However, these particular experiments seem very far removed from somebody solving a typical school maths problem, making an error, not realising they have made an error and having their brain grow in response. Which was the meaning that I had taken from Boaler’s statements. The new video also adds another layer to the brain growth argument. “Your brain is like a muscle,” we are told, “the more you exercise it, the bigger it gets.” This is an alarming prospect given that our skulls are a fixed size. So it seems that the doctors expected Cameron’s left hemisphere to take over. They weren’t shocked by this at all. Indeed, it is unclear why anyone would want to perform such surgery without expecting a positive outcome. And it doesn’t sound like the brain had ‘in effect, regrown’. Instead, the left hemisphere rewired itself to take over some of the functions of the missing right brain. In short, these are all very odd pieces of evidence to use in order to make the claims that Boaler makes. I do understand that the new video is intended for children but, as I noted at the start, similar claims have been made in other forums. 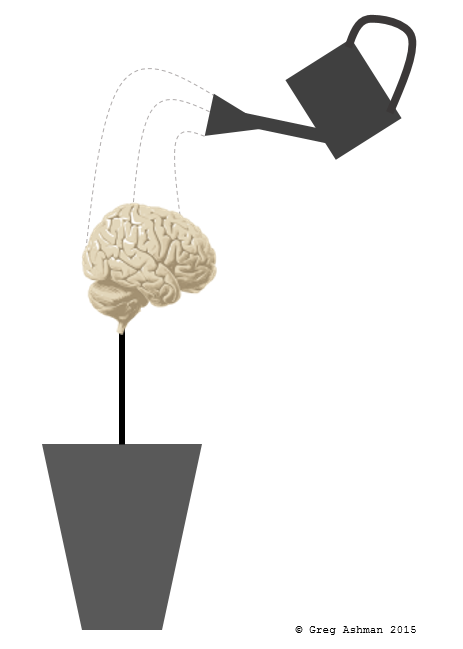 Can your brain ‘grow’ in the way Boaler describes? Only if you consider electrical activity in the brain – which every living person has – to be ‘growth’ or the ability for a child’s damaged brain to rewire itself to be ‘growth’. Jo Boaler’s associate in this “psycho-neurology”, Carol Dweck, says that every time you make a math mistake you grow a new synapse. Check this one out and do the sums!!!! You should look into ResearchBlogging (http://researchblogging.org/) for posts like these, Greg. By the way, I note that the Moser study shows a whopping N = 25. What’s wrong with N=25? It’s a within-subjects design. Studying the ps suggests it had very high power. When I make mistakes I’ve half a mind to fire a few synapses. But perhaps I have only half a mind because I’ve already fired so many … they’re down at the employment office.